There's a hilarious image floating around the Internet today about how Apple, the flag bearer of "don't you dare steal my design lest you owe me a billi", copied Nokia's Lumia with the iPod Nano. Just take a look at the image above! 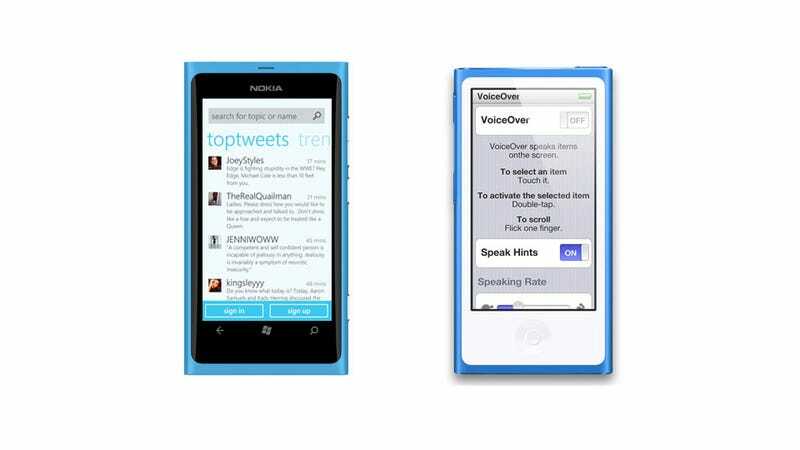 The iPod Nano on the right has the same rounded edges, same organically slapped on screen and same wacky colors as the Lumia on the left!